MVS soft starters increase ODL oil production. Colombian electrical equipment distributor ESI partnered with AuCom in 2008 to help increase oil production at ODL. ESI supplied ODL with five AuCom MVS soft starters to control the power to the five 700 HP pump motors which feed the Oleoducto de Los Llanos Orientales pipeline. The starters increase productivity by ensuring reliable operation and reducing maintenance time. Soft starters reduce the amount of stress placed on a motor as it is started, extending the lifetime of the motor, the load and its components and reducing repair time. Colombia is emerging as a rising star in the South American oil industry, producing the fourth largest quantity of oil in South America. A key player in the increased output has been the joint venture between Colombia's two largest oil companies Ecopetrol and Pacific Rubiales, ODL. The partnership allowed the two companies to build and operate an oil pipeline, the Oleoducto de los Llanos. 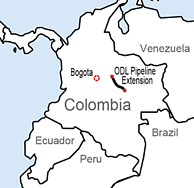 Construction of the Oleoducto de Los Llanos Orientales pipeline began in October, 2008. 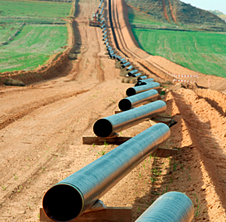 The pipeline now has a length of 235 kilometers beginning at the Rubiales Pumping Station and ending at Monterrey. The Oleoducto de Los Llanos Orientales pipeline then connects to the Ocensa pipeline which delivers oil to the port of Covenas. The pipeline provides the company with a substantial reduction of transportation costs for and also ensures adequate throughput capacity to bring the Rubiales Oil field to its full production potential. Initial capacity was 120,000 barrels per day. However, the challenge ODL faced was increasing the pipelines production to 200,000 barrels per day. ODL value the ease of use MVS soft starters provide. ODL engineers required just one hour of training and have since made only one phone call to ESI's helpdesk to adjust parameter settings. ESI are equally happy with AuCom. Project Engineer, Sergio Roldan Guzman commented "AuCom exceeded ESI's expectations, especially in customer service answering questions promptly and strengthening an already trusted partnership." ESI's philosophy is based on forming close and lasting relationships with its customers. This was demonstrated by ODL's purchase of AuCom MVS soft starters. Although AuCom products were new to ODL, they had previously purchased and successfully installed ESI products and trusted the expertise of their staff. For more information on MVS soft starters or other AuCom products, please contact your local AuCom distributor.